Via releases on Ovum, Simple, 20:20 Vision and Brique Rouge, Marc Romboy has carved out a career which has seen him excel in providing house and techno with soul. Whether it be collaborations with Chicago legend Blake Baxter or his tougher work alongside Stephan Bodzin, Romboy has excelled and developed accordingly. His curation of Systematic, delivering superb output from Robert Owens, Gui Boratto and Spirit Catcher to name just a few, has also cemented his position as a highly influential A&R in modern house music. 'The Overture' is a drum machine and synth workout which sees the producer draw on his early house influences (and sound banks) and bring them forward into an emotive, deep and rousing piece which tips a nod to Chicago, Detroit and Londons orbital rave scene. Acid house, in short. 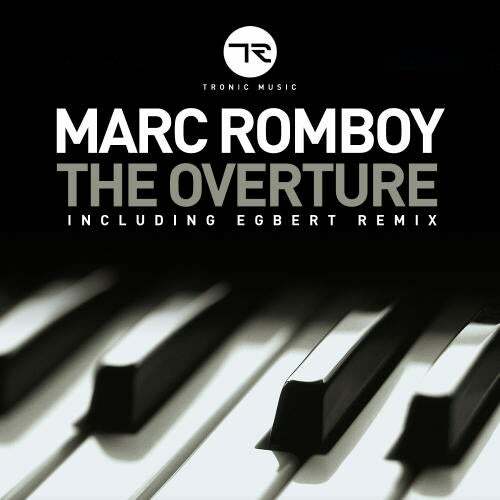 Hotly tipped youngster, Egbert, handles the remix duties and takes 'The Overture' into more low-slung territory. Loose, shuffling drums and teasing builds combine with modulated filtering of the originals main refrain to create a tense yet understated version which is the perfect foil to the original.